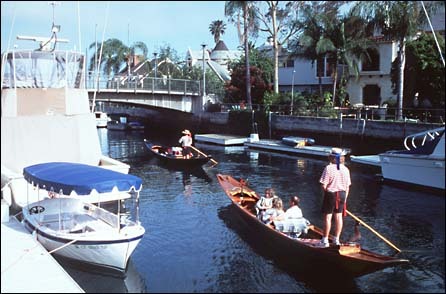 The word tips is commonly used as gratuity today, many of us may not know where it came from. 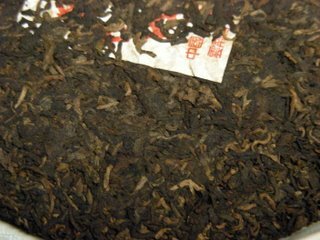 Have you ever wondered how many words or phrases are tea related?! 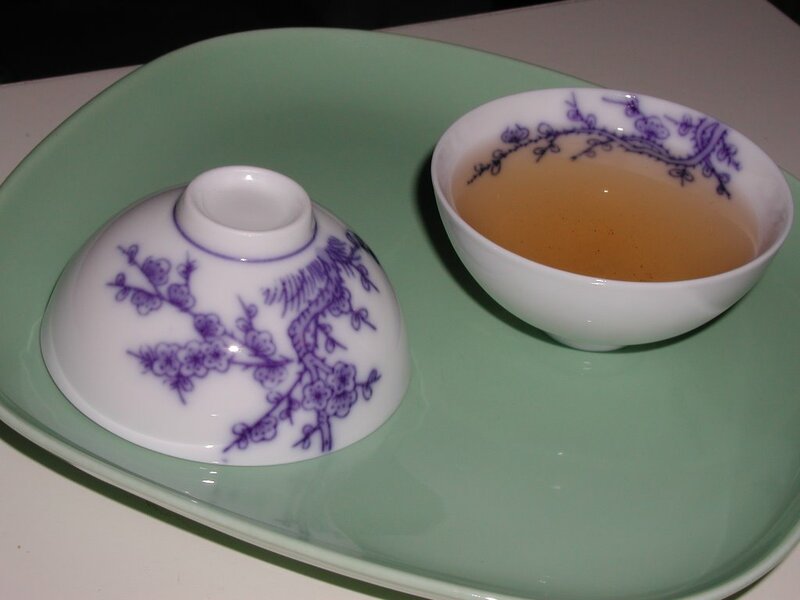 It's bribery when a patron had to tip in advance to insure prompt service, where it's gratuity, showing appreciation after prompt service is received. Good service should be mandatory in any service business within reason, so we expect it to be in today's society. 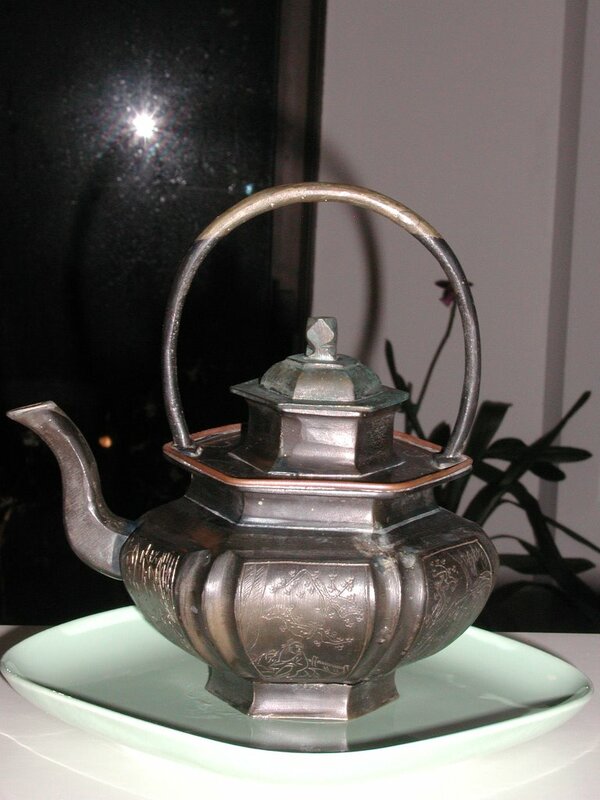 Merriam Webster: Tip - a gift or a sum of money tendered for a service performed or anticipated. 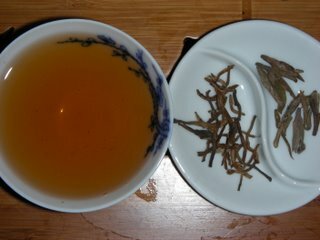 130ml... 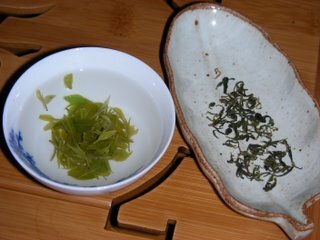 I am using it as Cha Hai. 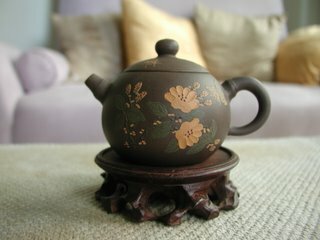 Instead of using the same Cha Hai for every tea, I am pairing up tea pots for a specific tea. One pot for brewing and the other for cha hai, it's a fast way to raise pots by raising 2 at the same time instead of just one. 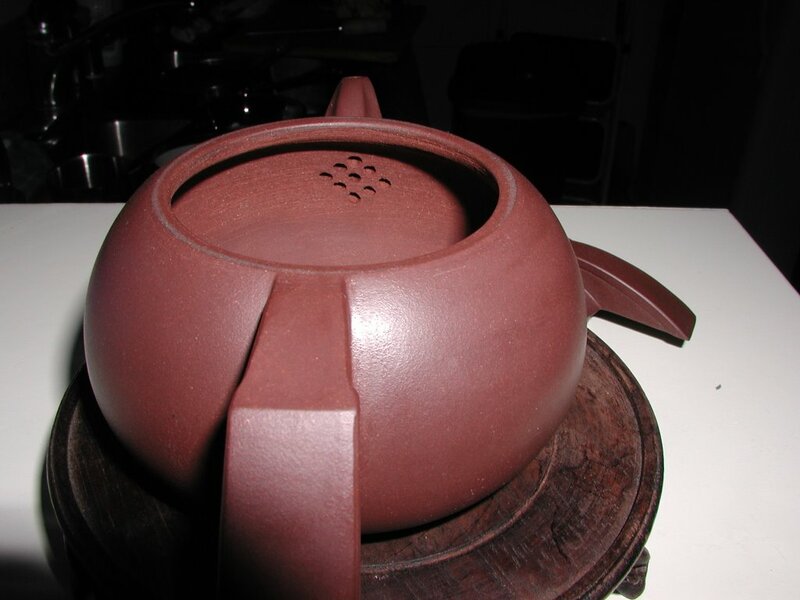 I prefer honey comb filter pots for brewing, flat filter pots are then used as cha hai-s.
Hand made zisha hu, honey comb filter, thin light and compact clay,well made by hand. Red clay teapot, 70ml, tiny size, I use it for Kuding Yan Cha. Genuine Yixing yellow clay pot, 120ml, above average quality, compact yet porous, more so than zisha clay. Hand painted white porcelain cups, Lotus and Prune flowers are my favorite flowers. 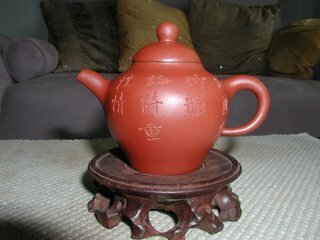 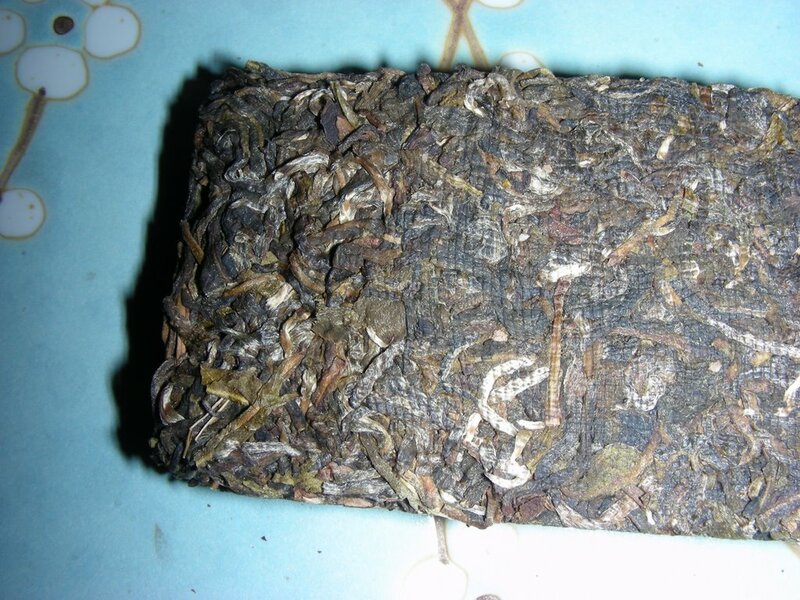 Nicely hand made zisha hu, nice finishing, good hand work,large 200ml, modern design. 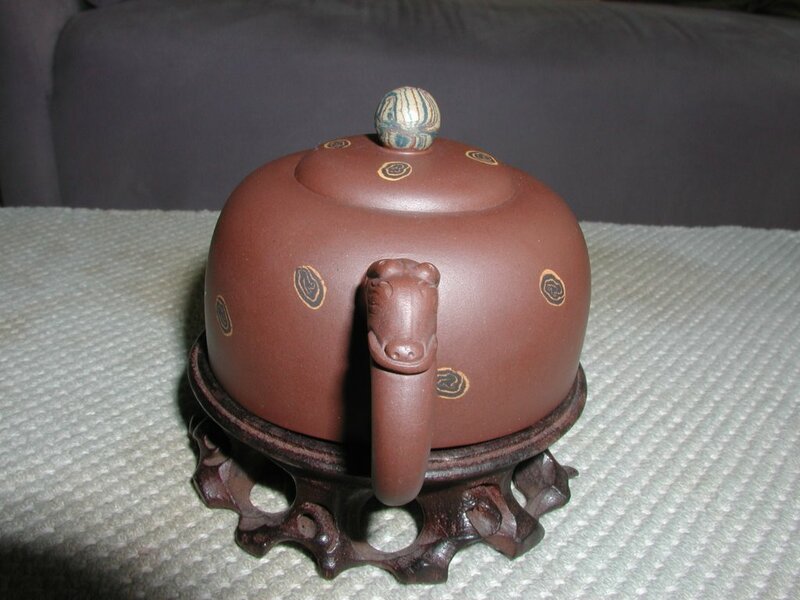 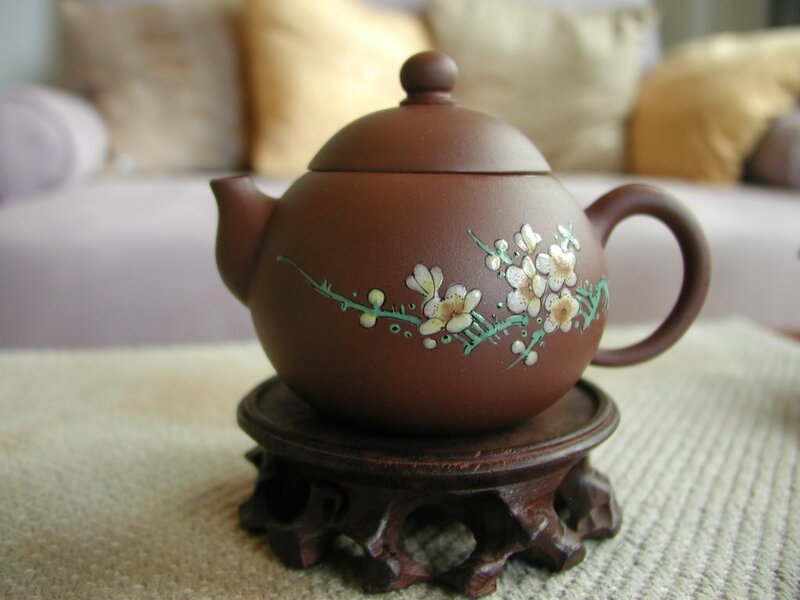 Bronze teapot in the shape of a flower basket or Chinese lantern. 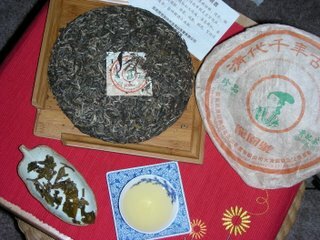 Six sides all hand carved with a man or woman in landscaping: a man laid under bamboo trees, a man smoking pipe under a pine tree, a man holding peaches under banana trees, a man crossing a bridge with a fish and fishing rod, a woman playing a flute under a willow tree, a man drinking tea under a prune tree. 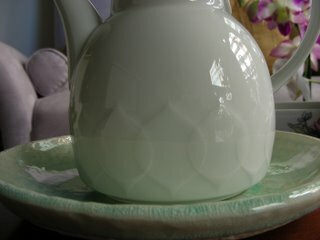 Amazingly, the spout does not back pour, no dripping! I need to clean the green bronze rust before I can figure out whether it's useful or not. 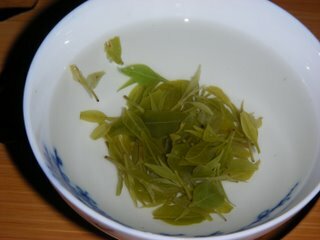 At current condition, it's not suitable for making tea. 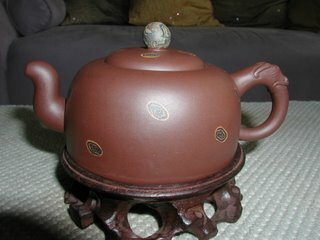 Any one know how to clean this thing up? 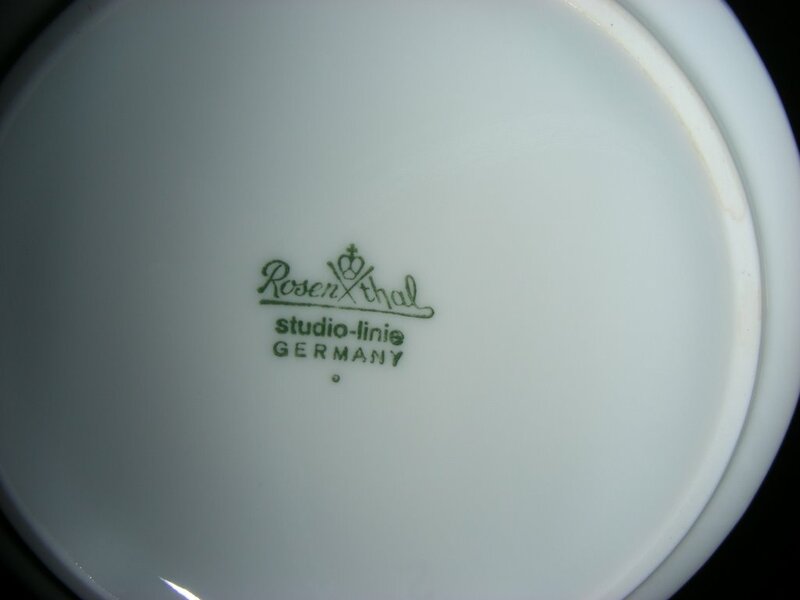 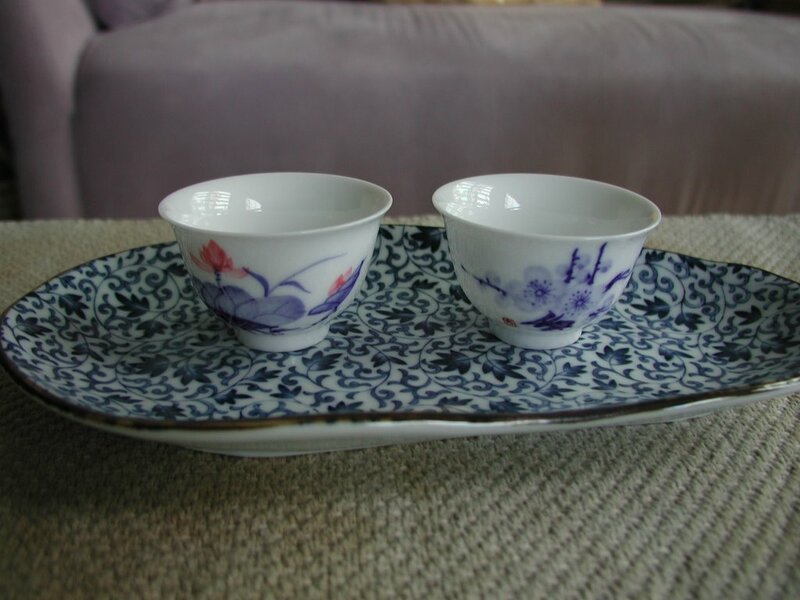 Lovely porcelain cups, classic blue and white. 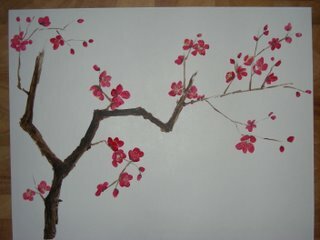 Very thin wall. 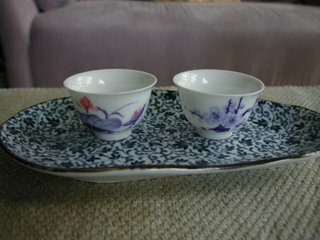 Cups very snuggly in hand. 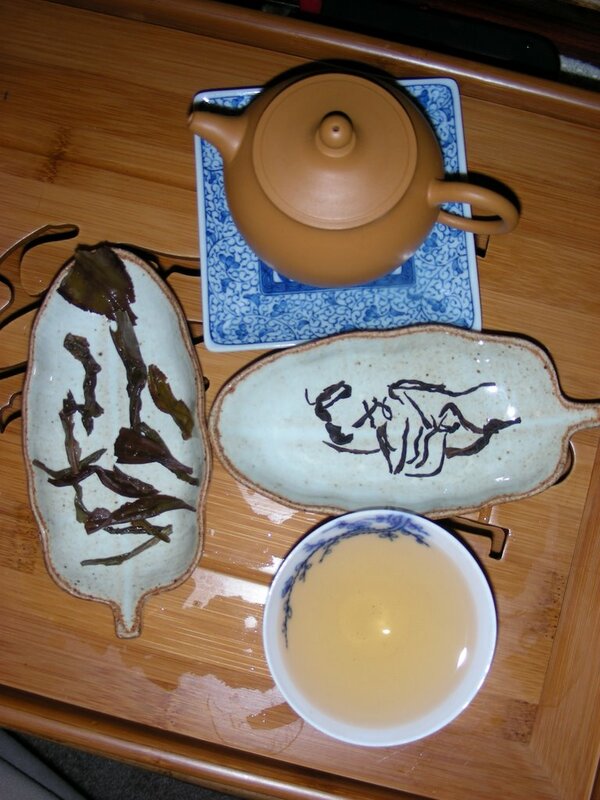 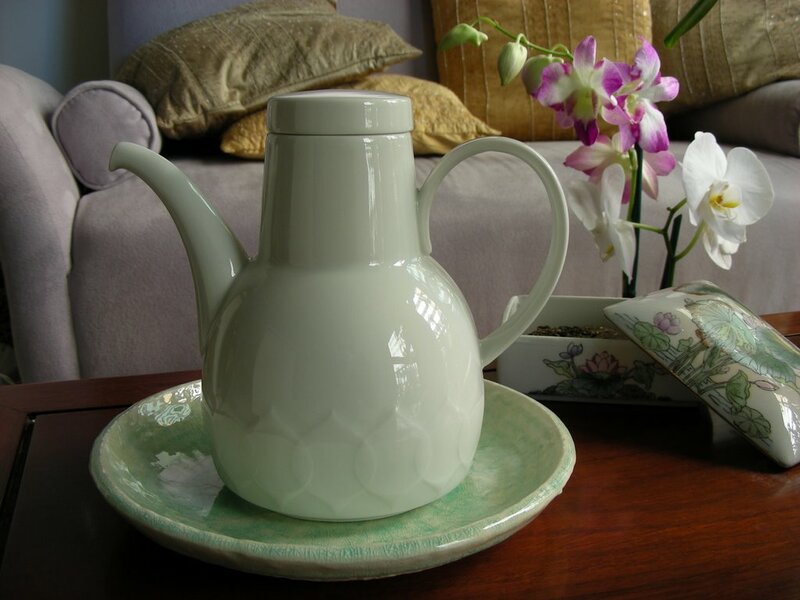 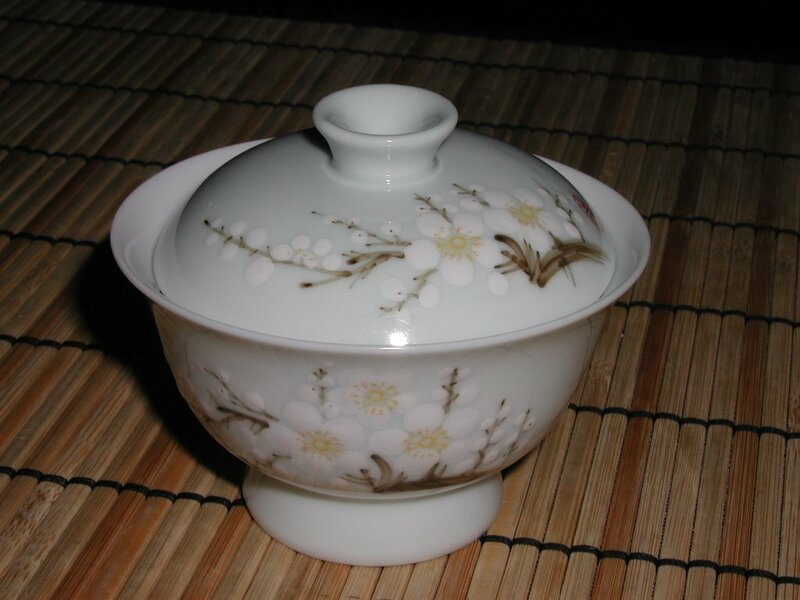 Since the Ming Dynasty, white porcelain tea wares became popular due to the change of tea drinking preference. 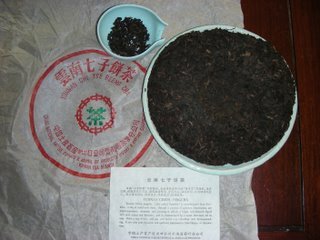 Loose leaves became popular, mostly contributed by the first emperor of Ming. 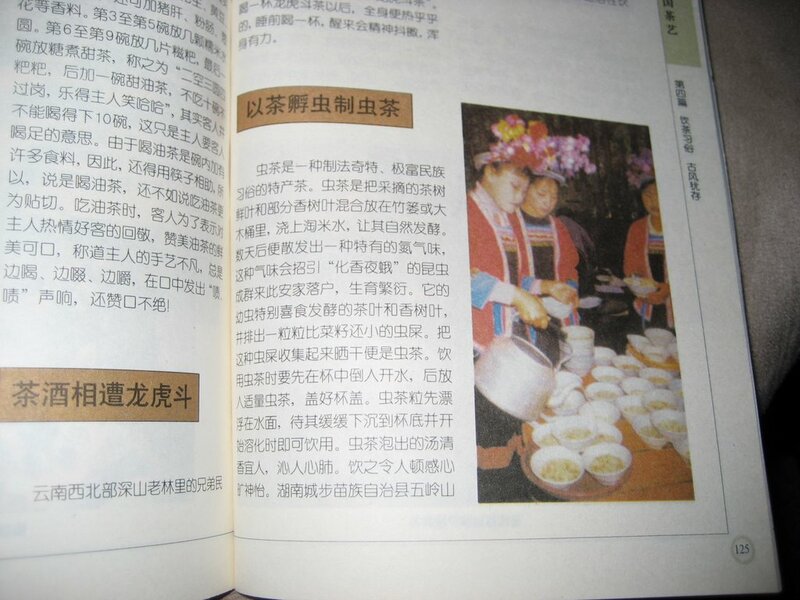 He ordered contribution tea in loose leave form instead of the cake form in previous dynasties. 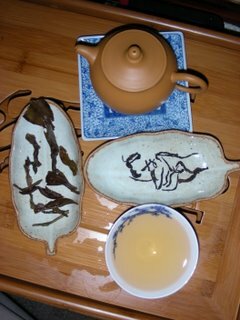 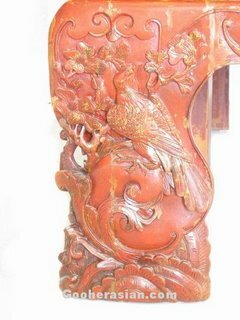 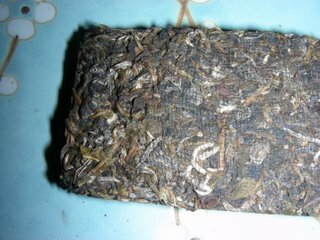 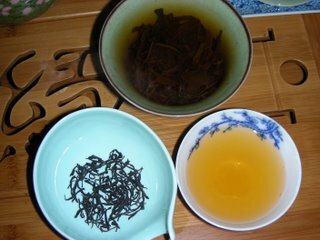 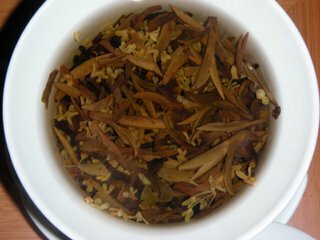 Ming was also the period when tea was steeped instead of cooked in Tang period and powdered (Dian Cha - similar to Matcha) in Song. White porcelain can reflect the true color of tea soup. 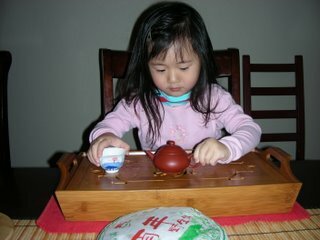 It's interesting how everyday life was and still is influenced by government in every corner of the earth, ie Boston tea party?! A new style of gaiwan, a bowl without the holder. 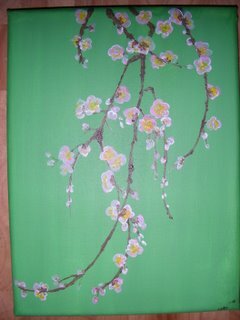 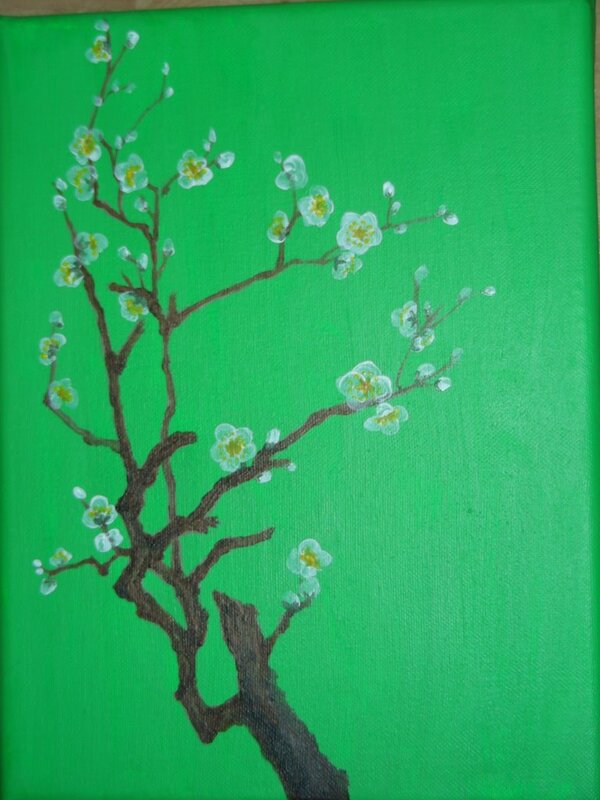 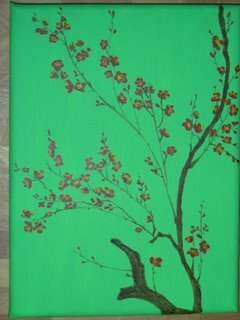 Hand painted prune branches and blossom, base color is light greenish blue. The bottom rim is thicker and higher than normal rice bowl. 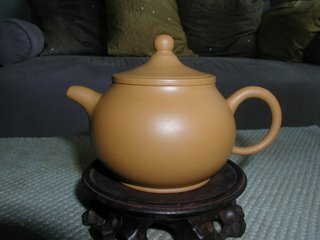 I am not sure what is the function of this variation. 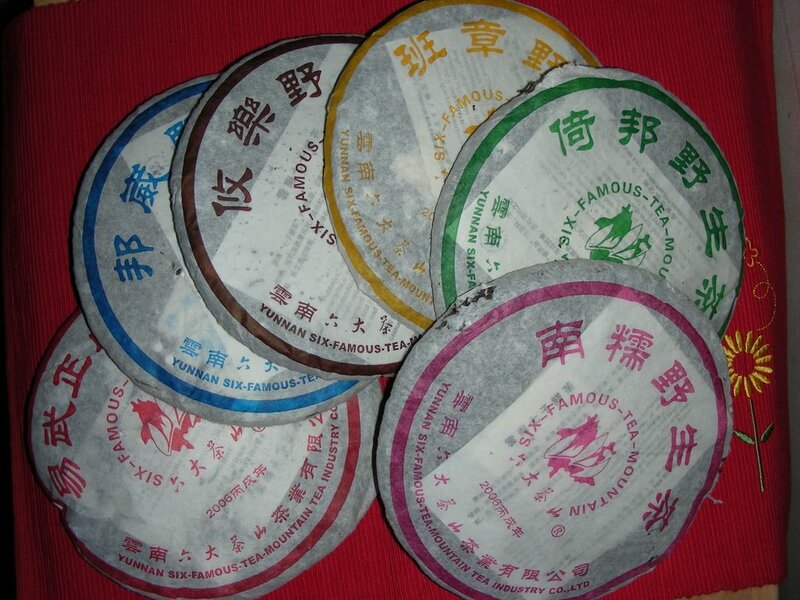 Perhaps hot tea is hotter than rice, so more insulation for your fingers? Modern production of Song Dynasty style ceramic ware made famous by a kiln named Ru Yao 汝 窯 which specialized in light green/blue porcelain. 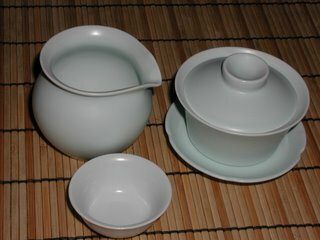 This set comes with 8 cups, a gaiwan and a cha hai for $16. 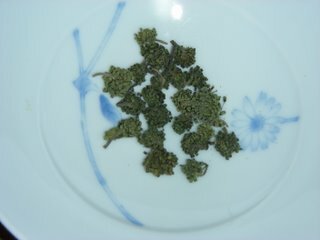 This is what I call a deal. 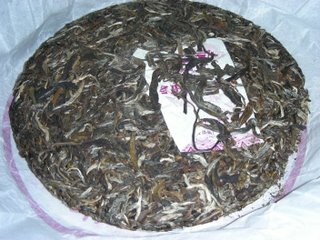 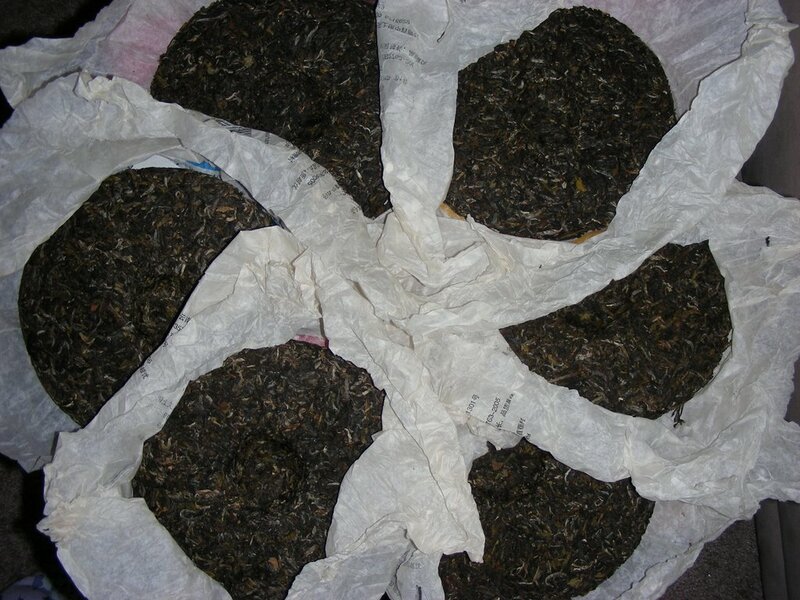 Wall of the gaiwan is thick, the cup size also shows it's suitable for pu-erh. Love the flower shape of the gaiwan holder. Well, flaws are expected for something this price. 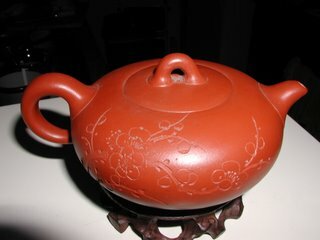 I found a few grains of black sands here and there, also popped air bubbles on the glaze during firing. 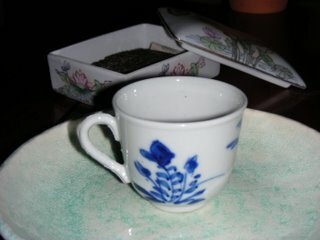 One of the cup's inside was not glazed evenly. 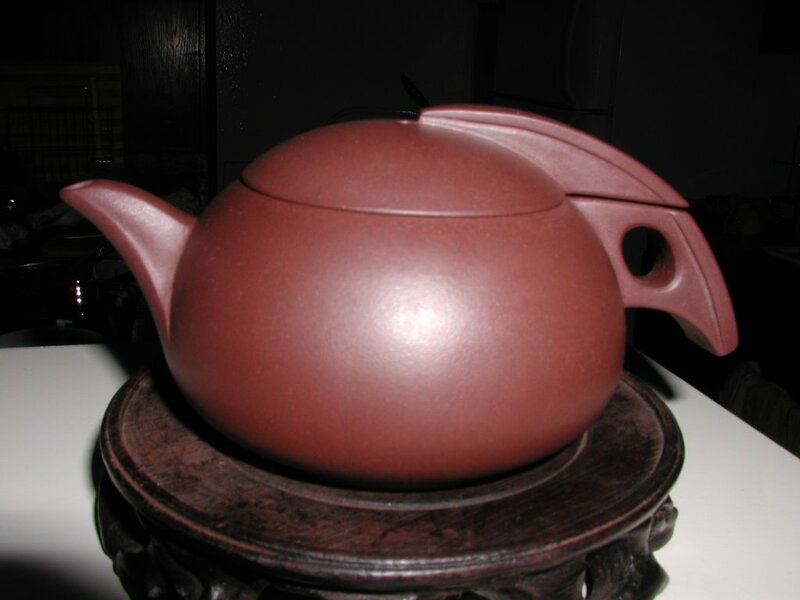 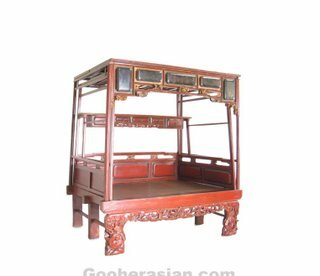 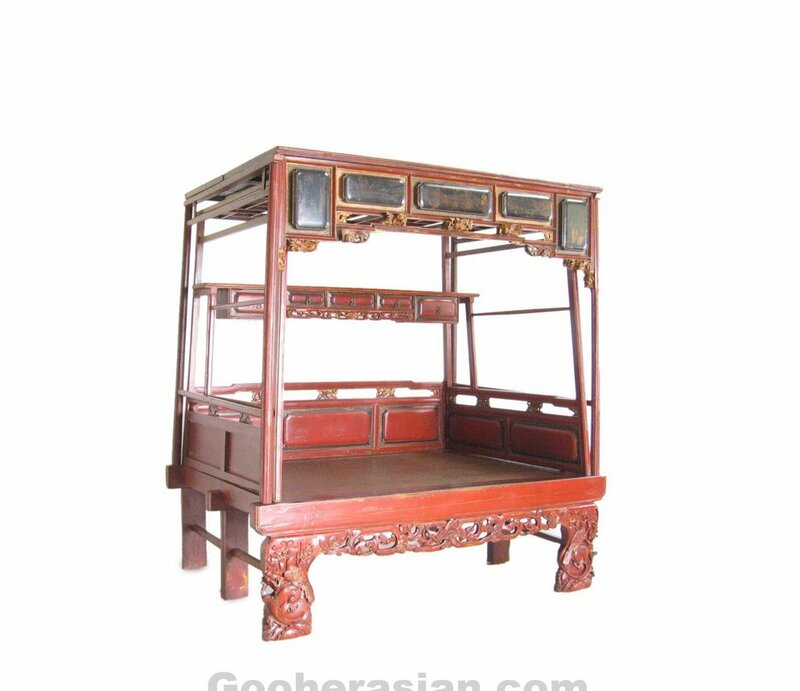 Over all it's nicely designed with beautiful color, good smooth substantial weight hand feel. 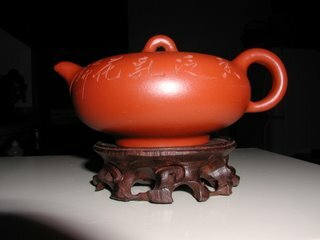 Gaiwan is particularly lovely! 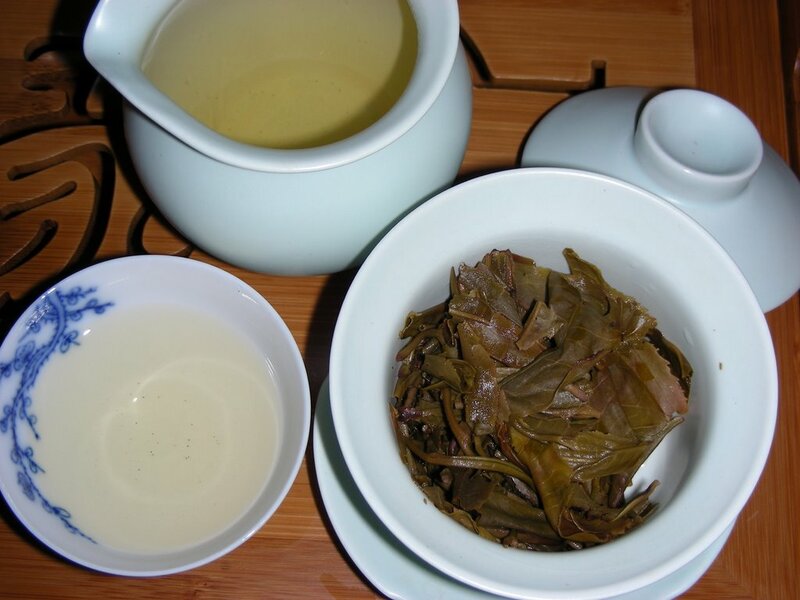 How and when to put green tea leaves in hot water... It's more complicated than one can imagine. Which "throw" to use can be seasonal, summer and fall can use top throw, spring and winter can use bottom throw. 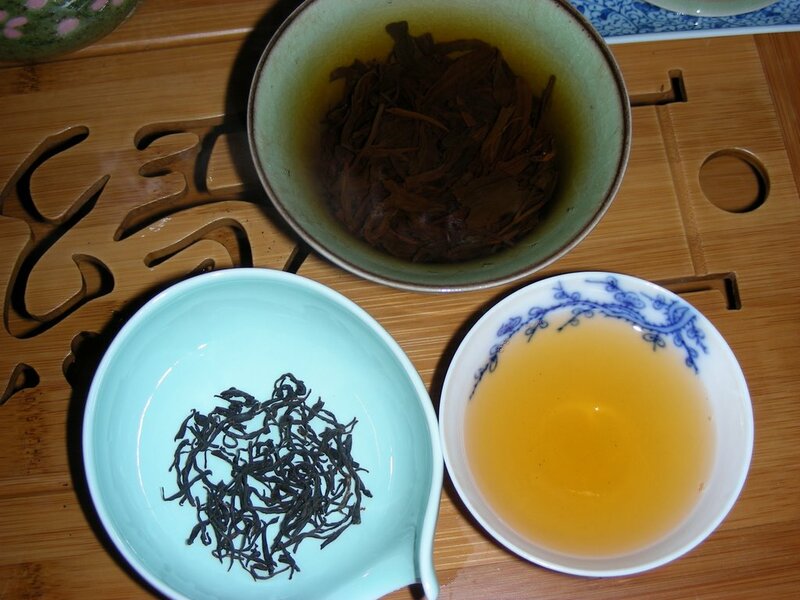 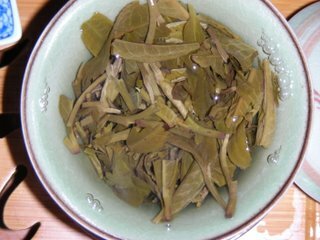 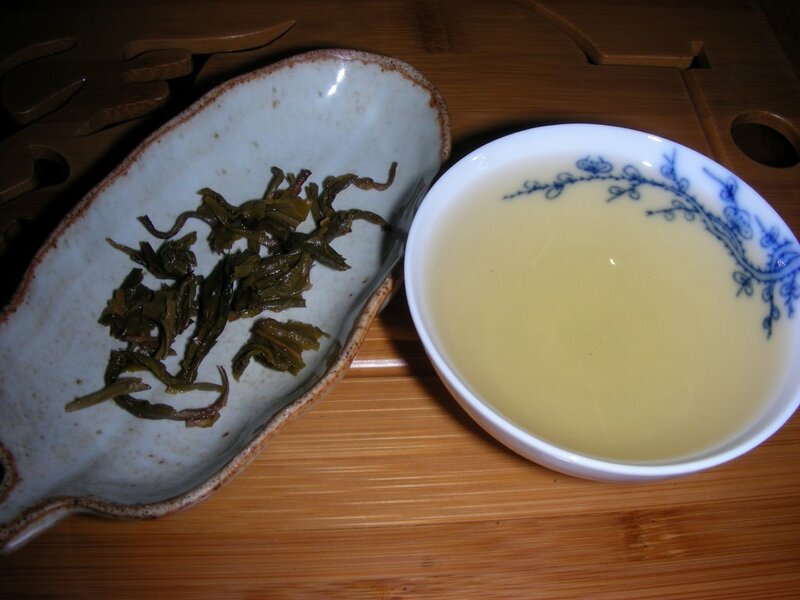 Delicate leaves such as top grade spring Lung Jing or Bi Luo Chun can use top throw, medium size or hairy tips such as Mao Jian can be middle throw, Jasmine pearls should use bottom throw. 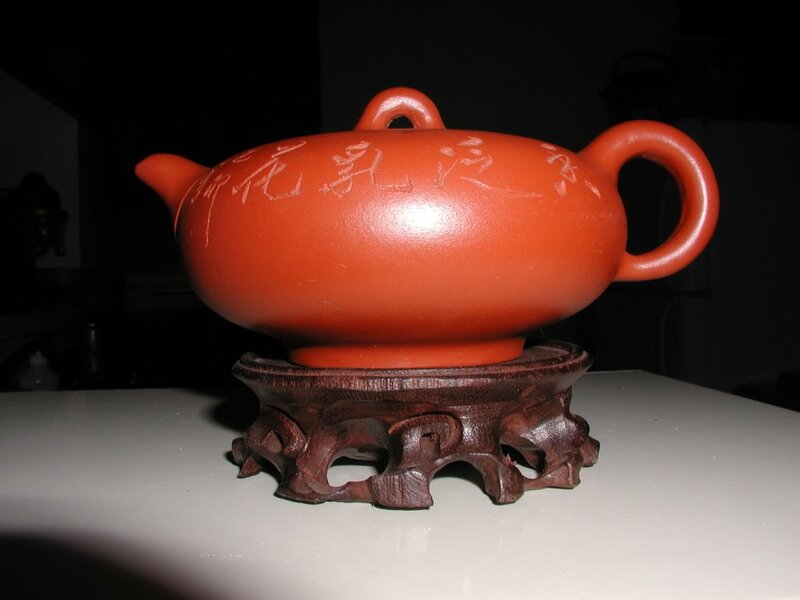 The logic behind it is, the smaller and more delicate leave which can't take high heat should use top throw; while something needs more time to open up but can't be "cooked" with hot temperature use middle throw; something can with-stand or require higher temperature use bottom throw. 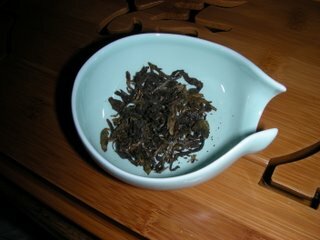 In the mood for some Worm Tea? 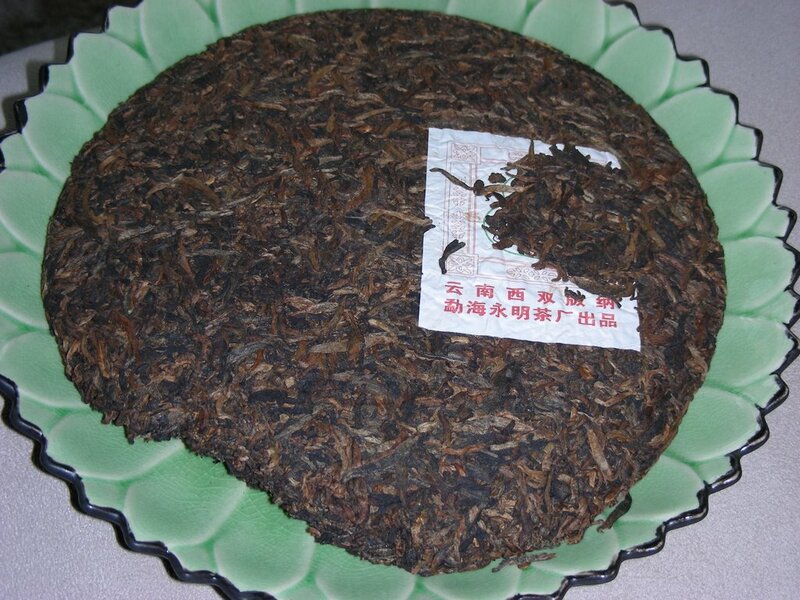 In the province of Hu Nan, ranges of Wu Ling mountain resides a minority group Miao zu. 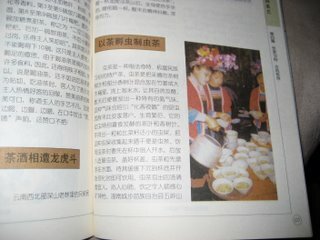 They have a custom of drinking Worm Tea that many have unheard of. 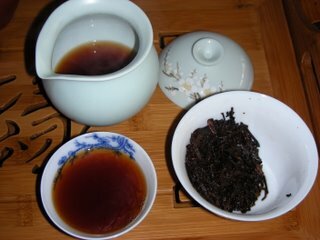 The process of such tea is more than one can stomach. 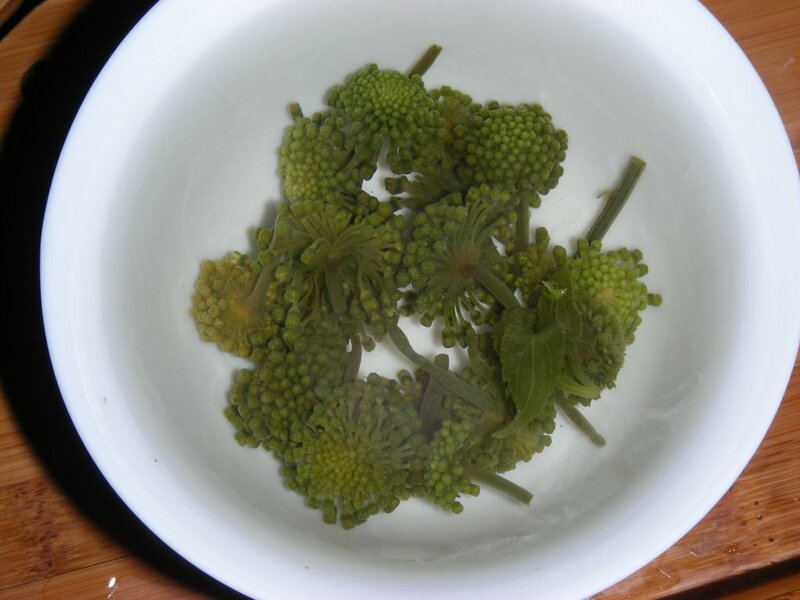 The name Worm Tea is absolutely deceiving! After giving it some thought, I can only explain in this "logical" way. 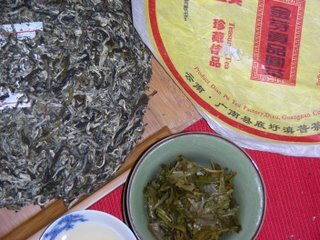 The fermentation is similar to the normal fermentation only liquid is added to speed the process. The digestion of these tea through worms is similar to the rolling and mixing of flavors (spice and rice), instead of by human hand, the worm digestive system did the work. When the final product is done "fermenting", "rolling" and "Roasting", dry naturally as usual - in sun light. Truly ORGANIC and NATURALE? !